This was a new one to us! 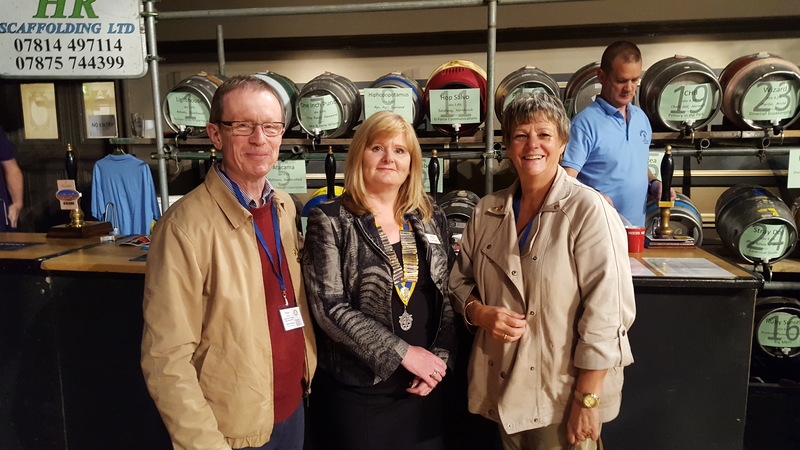 Rowley Projects is one of the nominated charities for Warrington Rotary this year and a donation will be made from the profits of the beer festival. Angela & Steve enjoyed free sampling before the festivities began in earnest on Thursday 13th . Well, Steve did – Angela was driving home ! 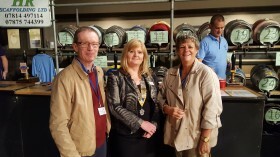 Wobbly Bob, brewed in Heywood, is a winner.Pictured here with the current club president, Irene Russell. « Annual donation from The Kingsway School, Cheadle.